Differential protection is a fast and selective method of protection against short-circuits. It is applied in many variants for electrical machines, trans?formers, busbars, and electric lines. Initially this book covers the theory and fundamentals of analog and numerical differential protection. Current transformers are treated in detail including transient behaviour, impact on protection performance, and practical dimensioning. An extended chapter is dedicated to signal transmission for line protection, in particular, modern digital communication and GPS timing. 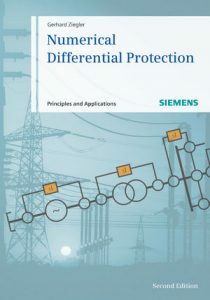 The emphasis is then placed on the different variants of differential protection and their practical application illustrated by concrete examples. This is completed by recommendations for commissioning, testing and maintenance. Finally the design and management of modern differential protection is explained by means of the latest Siemens SIPROTEC relay series. As a textbook and standard work in one, this book covers all topics, which have to be paid attention to for planning, designing, configuring and applying differential protection systems. The book is aimed at students and engineers who wish to familiarise themselves with the subject of differential protection, as well as the experienced user entering the area of numerical differential protection. Furthermore, it serves as a reference guide for solving application problems. For the new edition all contents have been revised, extended and updated to the latest state-of-the-art of protective relaying. 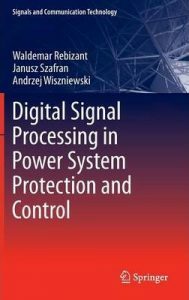 Digital Signal Processing in Power System Protection and Control bridges the gap between the theory of protection and control and the practical applications of protection equipment. 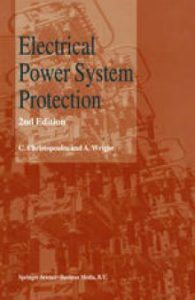 Understanding how protection functions is crucial not only for equipment developers and manufacturers, but also for their users who need to install, set and operate the protection devices in an appropriate manner.After introductory chapters related to protection technology and functions, Digital Signal Processing in Power System Protection and Control presents the digital algorithms for signal filtering, followed by measurement algorithms of the most commonly-used protection criteria values and decision-making methods in protective relays. A large part of the book is devoted to the basic theory and applications of artificial intelligence techniques for protection and control. Fuzzy logic based schemes, artificial neural networks, expert systems and genetic algorithms with their advantages and drawbacks are discussed. AI techniques are compared and it is also shown how they can be combined to eliminate the disadvantages and magnify the useful features of particular techniques.The information provided in Digital Signal Processing in Power System Protection and Control can be useful for protection engineers working in utilities at various levels of the electricity network, as well as for students of electrical engineering, especially electrical power engineering. It may also be helpful for other readers who want to get acquainted with and to apply the filtering, measuring and decision-making algorithms for purposes other than protection and control, everywhere fast and on-line signal analysis is needed for proper functioning of the apparatus. The electrical power system is a highly complex dynamic entity. One malfunction or a careless set relay can jeopardize the entire grid. 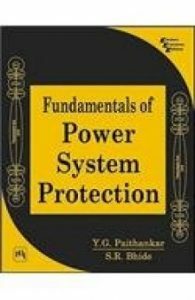 Power system protection as a subject offers all the elements of intrigue, drama, and suspense while handling fault conditions in real life. In a world of huge, interconnected networks that can be completely blacked out by disturbances, POWER SYSTEM PROTECTION offers you an improved understanding of the requirements necessary for prompt and accurate corrective action.P. 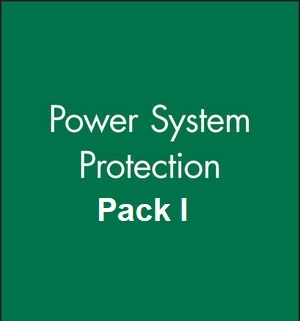 M. Anderson, a noted expert on power systems, presents an analytical and technical approach to power system protection. His discussion shows how abnormal system behavior can be detected before damage occurs, and points to effective control action to limit system outages.Advance your knowledge of power system protection through a better understanding of:Protective devices and controlsProtection conceptsTransmission protectionApparatus protectionSystem aspects of protective systemsReliability analysis of protective systemsPOWER SYSTEM PROTECTION is expressly written for practicing engineers and advanced graduate-level student engineers who need a comprehensive resource on the principles of power system behavior. This essential reference work provides new and advanced concepts for understanding system performance.An Instructor’s Manual presenting detailed solutions to all the problems in the book is available from the Wiley Marketing department. Plant operators, electricians, field technicians and engineers will gain a practical understanding of the role and workings of power system protection systems from this work. An understanding of power systems and their optimized management will increase plant efficiency and performance as well as increasing safety levels. 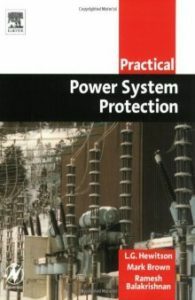 This book provides both the underpinning knowledge and basic calculations needed to understand, specify, use and maintain power protection systems, and the practical techniques required on a daily basis. After studying this book you will have an excellent knowledge of the principles of protection. You will also have a better understanding of the possible problems likely to arise in day-to-day work with power protection systems. The death of Professor Arthur Wright in the summer of 1996 deprived me of a friend and a colleague whose judgement and experience shaped this book. I pay tribute to his contributions to protection and electrical engineering education. In the five years since the first edition appeared, many developments have taken place and it is now necessary to update the book. The use of digital communications and advanced signal processing techniques is now widespread and several fully numeric relays are available from manu­ facturers. Two new Chapters 13 and 14 have been added to introduce readers to these concepts and associated techniques. Artificial intelligence is making its impact in all engineering applications and power system protection is no exception. Expert systems, fuzzy logic, artificial neural networks, adaptive and integrated protection, synchronized measurements using the global positioning system, genetic algorithms, flexible a.c. transmission systems, are some of the techniques considered in connection with protection. 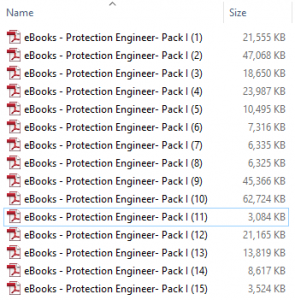 Although many of these techniques have not yet found major application in protection, it is nevertheless essential for the educated protection engineer to have a basic understanding of the underlying principles and methodology so that he, or she, can evaluate their suitability for new relaying problems and applications. Chapter 15 was therefore added to guide readers through this developing area. I have also added some new material in other chapters to reflect changes over the past years. 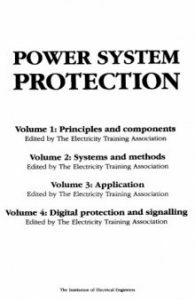 Electrical Power System Protection provides practising engineers with the most up-to-date and comprehensive one -volume reference and tutorial on power system protection available. 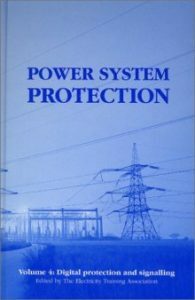 Concentrating on fundamental methods and technology and with extensive examples drawn from current practice internationally, this book will be a major reference tool for engineers involved with and affected by power system protection. Based on the author’s twenty years of experience, this book shows the practicality of modern, conceptually new, wide area voltage control in transmission and distribution smart grids, in detail. Evidence is given of the great advantages of this approach, as well as what can be gained by new control functionalities which modern technologies now available can provide. The distinction between solutions of wide area voltage regulation (V-WAR) and wide area voltage protection (V-WAP) are presented, demonstrating the proper synergy between them when they operate on the same power system as well as the simplicity and effectiveness of the protection solution in this case. 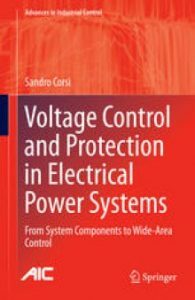 The author provides an overview and detailed descriptions of voltage controls, distinguishing between generalities of underdeveloped, on-field operating applications and modern and available automatic control solutions, which are as yet not sufficiently known or perceived for what they are: practical, high-performance and reliable solutions. At the end of this thorough and complex preliminary analysis the reader sees the true benefits and limitations of more traditional voltage control solutions, and gains an understanding and appreciation of the innovative grid voltage control and protection solutions here proposed; solutions aimed at improving the security, efficiency and quality of electrical power system operation around the globe.Voltage Control and Protection in Electrical Power Systems: from System Components to Wide Area Control will help to show engineers working in electrical power companies and system operators the significant advantages of new control solutions and will also interest academic control researchers studying ways of increasing power system stability and efficiency. The offshore wind sector’s trend towards larger turbines, bigger wind farm projects and greater distance to shore has a critical impact on grid connection requirements for offshore wind power plants. 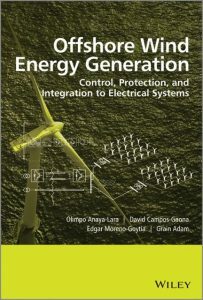 This important reference sets out the fundamentals and latest innovations in electrical systems and control strategies deployed in offshore electricity grids for wind power integration.Includes:All current and emerging technologies for offshore wind integration and trends in energy storage systems, fault limiters, superconducting cables and gas-insulated transformersProtection of offshore wind farms illustrating numerous system integration and protection challenges through case studiesModelling of doubly-fed induction generators (DFIG) and full-converter wind turbines structures together with an explanation of the smart grid concept in the context of wind farmsComprehensive material on power electronic equipment employed in wind turbines with emphasis on enabling technologies (HVDC, STATCOM) to facilitate the connection and compensation of large-scale onshore and offshore wind farmsWorked examples and case studies to help understand the dynamic interaction between HVDC links and offshore wind generationConcise description of the voltage source converter topologies, control and operation for offshore wind farm applicationsCompanion website containing simulation models of the cases discussed throughoutEquipping electrical engineers for the engineering challenges in utility-scale offshore wind farms, this is an essential resource for power system and connection code designers and pratitioners dealing with integation of wind generation and the modelling and control of wind turbines. It will also provide high-level support to academic researchers and advanced students in power and renewable energy as well as technical and research staff in transmission and distribution system operators and in wind turbine and electrical equipment manufacturers.